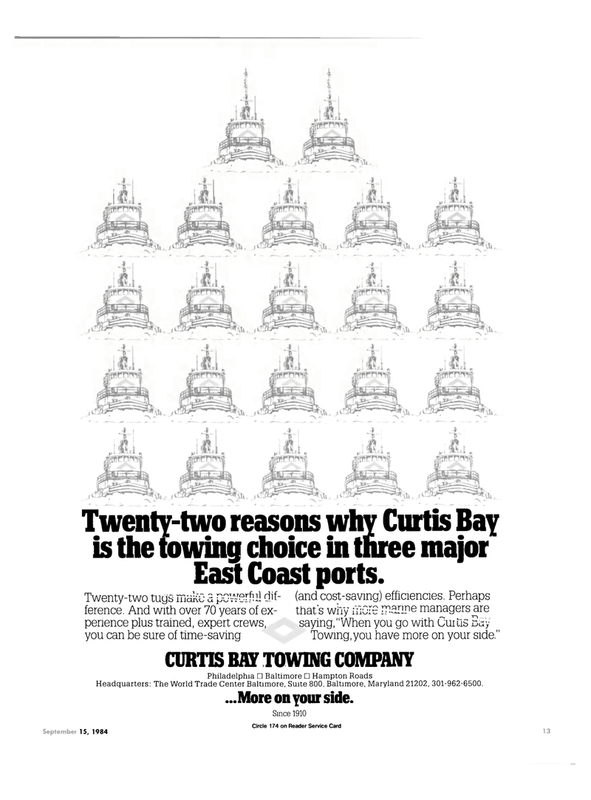 Twenty-two tugs make a powerful dif- (and cost-saving) efficiencies. Perhaps ference. And with over 70 years of ex- that's why lYlOie ir.dnDe managers are penence plus trained, expert crews, saying, "When you go with Cuitis Bay you can be sure of time-saving Towing, you have more on your side."